Amy Gumm's mission to take down Dorothy Gale is not going according to plan. 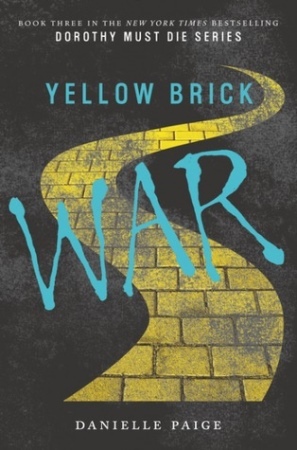 Dorothy has found a way to bridge the worlds of Oz and Kansas, and if the power-hungry dictator of Oz has her way, Kansas will be destroyed forever. Now, Amy has to team up with the Revolutionary Order of the Wicked to save her home, restore the balance between the magic and nonmagic worlds, maybe get the guy – and kill that not-so-sweet Kansas farm girl once and for all. In the third installment of the action-packed Dorothy Must Die series, Danielle Paige's twisted versions of beloved Oz characters are back, including the biggest, baddest, most famous of all: the Wicked Witch of the West.